Primo Nery Lara, Jr., M.D. To see if Primo Nery Lara, Jr. is accepting new patients, or for assistance finding a UC Davis doctor, please call 800-2-UCDAVIS (800-282-3284). Dr. Lara is a clinician-scientist whose principal research interests are in the field of developmental therapeutics, particularly in genitourinary and thoracic malignancies, as well as in cancer biomarker development. He has a national and international reputation in clinical-translational research, and has chaired or co-chaired many cancer clinical trials from phase I to III. He directs an active clinical practice in genitourinary and thoracic malignancies and is a strong advocate for cancer clinical trials. Dr. Lara has received research funding from the National Institutes for Health/National Cancer Institute and the American Cancer Society, as well as other funding agencies. He is Principal Investigator (PI) of several funded programs, including the NCI P30 Cancer Center Support Grant, NCI K12 Paul Calabresi Clinical Oncology Training Grant, and UM1 Early Therapeutics Award (Phase I: California Cancer Consortium), among others. He has also been PI on prior NCI-funded R21 and R01 grants. He has successfully led numerous clinical trials, ranging from phase I to III, and has authored or co-authored over 260 peer-reviewed manuscripts, most notably on novel or emerging anti-neoplastic strategies in GU and lung cancers. Dr. Lara is proud to have mentored many junior faculty throughout his career. He is Deputy Chair of SWOG, one of the NCI's national cancer clinical trial cooperative groups. He has served as Chair and Charter Member of NCI's Subcommittee F (Institutional Training and Education Study Section), Co-Chair of the NCI's Investigational Drug Steering Committee, Chair of SWOG's Renal Cell Cancer Organ Site, Chair of SWOG's Professional Review Committee, and peer reviewer on several study sections, among other commitments. 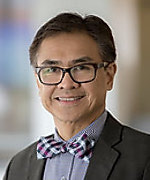 He has served in a leadership role in the scientific and educational programs of the American Society of Clinical Oncology (ASCO), Society of Urologic Oncology, the International Association for the Study of Lung Cancer, and the European Association of Urology-International Consultation on Urological Diseases. Dr. Lara has also served as an elected member of the ASCO's Nominating Committee (2014-2017), as well as served for many years on ASCO's Cancer Education Committee, including as the Chair of the Continuing Medical Education Subcommittee from 2012-2013. Dr. Lara is editor-in-chief of Cancer Treatment and Research Communications (Elsevier) and Kidney Cancer (IOS Press) and is on the editorial board of other major journals. He serves on the board of the Hope Foundation for Cancer Research. For a comprehensive list of Dr. Lara's publications, please click here.